CLARKSVILLE – Starting pitcher Jacques Pucheu went the distance, leading Austin Peay to a 9-1 Ohio Valley Conference victory, Friday afternoon in Game 1 of a doubleheader on Joe Maynard Field at Raymond C. Hand Park. Supplying starter Jacques Pucheu an early lead is usually the starting point toward a win. After a single, double and a walk loaded the bases in the bottom of the first, center fielder Garrett Spain walked to the plate. After seeing a first pitch strike, the Govs freshman laced a line drive into the right center gap and the ball rolled all the way to the wall, clearing the bases and providing a 3-0 lead that Pucheu would make stand up. PUCHEU’S CG. For the first time in his career, starter Jacques Pucheu posted a complete game. It was Austin Peay’s first complete game outing since Alex Robles’ four-hit shutout of Jacksonville State, March 11, 2017. SPAIN’S CONTINUING EXPLOITS. It’s been a remarkable freshman campaign pieced together by center fielder Garrett Spain, but he found a new mark in Friday’s series opener, posting his first four RBI outing. His three-run double got the day started and he added a leadoff home run in the third – fourth home run of the season. Pucheu (4-1), who battled through his toughest start a week ago at Eastern Kentucky, tossed Austin Peay’s first complete game since 2017 and his first career complete game. He limited Morehead State to one run while scattering six hits and three walks. Pucheu opened the game by retiring the first 10 batters he faced. 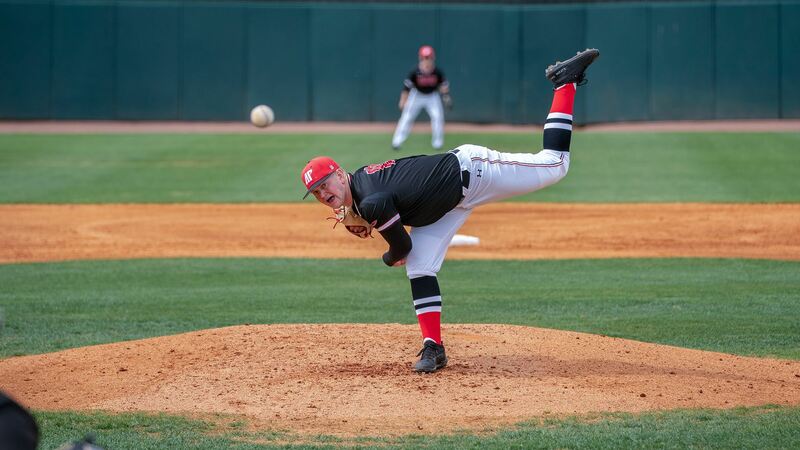 That opening stretch by its starter allowed Austin Peay the opportunity to provide plenty of run support. The first four Governors batters reached base to start the game, center fielder Garrett Spain delivering three runs on a double. Two innings later, the Governors tacked on another pair of runs. Spain opened the third inning with a home run. The next two APSU batters reached base and a one-out walk loaded the bases. Second baseman Bobby Head drove in the inning’s second run with a ground out, pushing the lead to 5-0. Morehead State (24-11, 8-5 OVC) would break up Pucheu’s shutout bid in the fifth. The Eagles got walks with one and two outs to get a runner into scoring position. Left fielder Jake Hammon used a single to drive in a run, narrowing the APSU lead to 5-1. However, Austin Peay responded with two runs in both the sixth and seventh innings to secure the lead. Spain led the APSU offense with a 3-for-5 and finished with his first career four RBI outing. Outfielder Aaron Campbell went 3-for-3 with a RBI and a run scored. Morehead State starter Dalton Stambaugh (4-2) suffered the loss after allowing five runs on six hits and five walks. Catcher Hunter Fain’s 2-for-4 effort was the Eagles lone multihit performance.